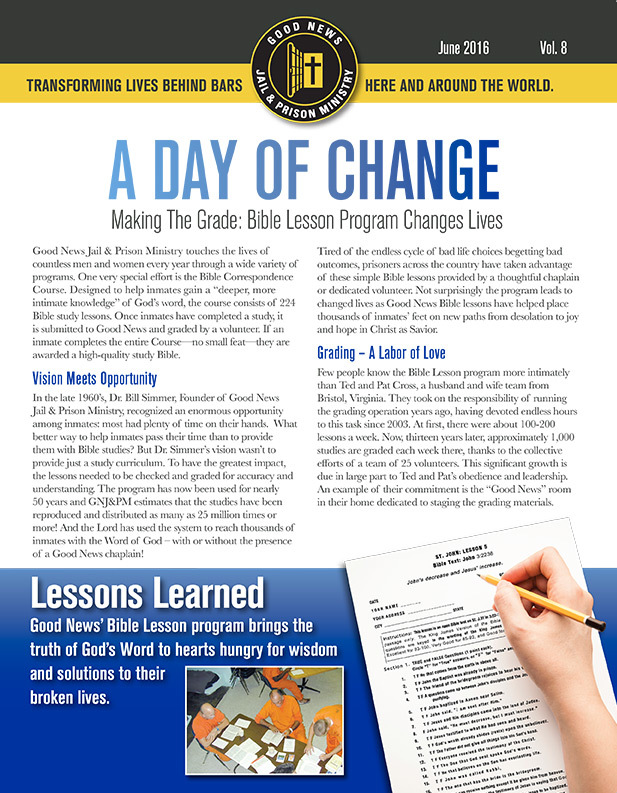 Good News Jail & Prison Ministry touches the lives of countless men and women every year through a wide variety of programs. 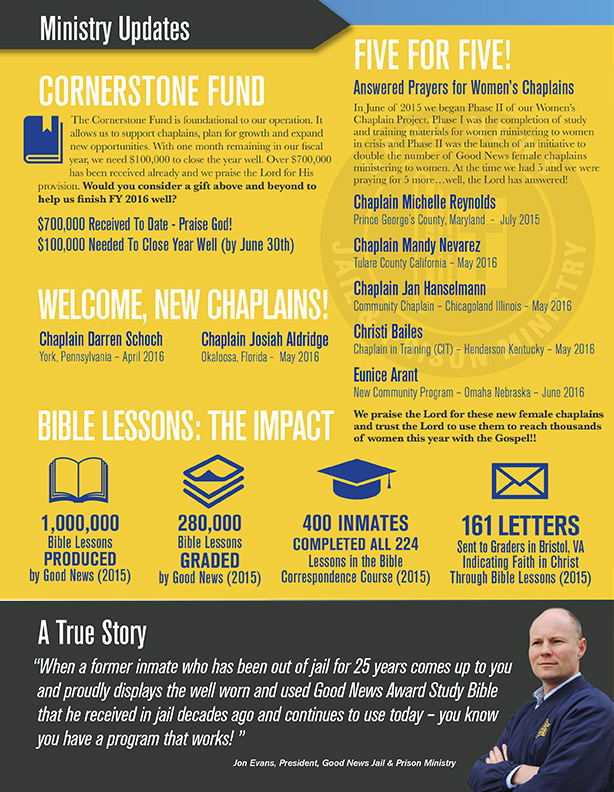 One very special effort is the Bible Correspondence Course. Designed to help inmates gain a “deeper, more intimate knowledge” of God’s word, the course consists of 224 Bible study lessons. Once inmates have completed a study, it is submitted to Good News and graded by a volunteer. If an inmate completes the entire Course—no small feat—they are awarded a high-quality study Bible.